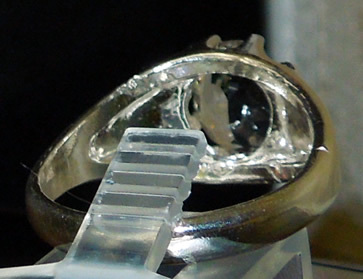 Notes: A large 10x8 mm oval cut Herkimer Diamond sparkles in this men's gypsy style birthstone ring. 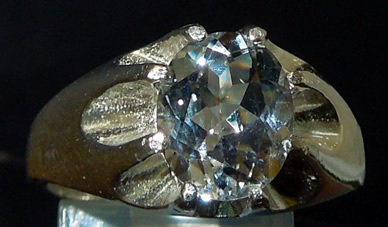 The cut crystal weighs a generous 3 ct. 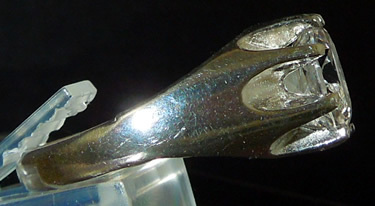 The heavy sterling silver setting is size 11. 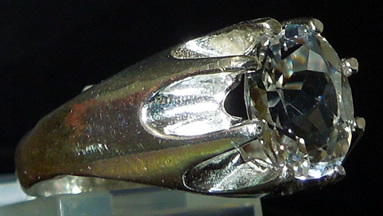 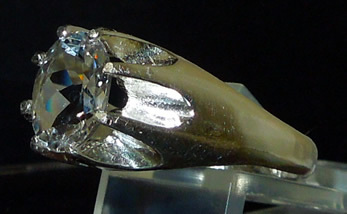 Diamonds are April's birthstone and a Herkimer Diamond is not only more economical, but more rare as well ! 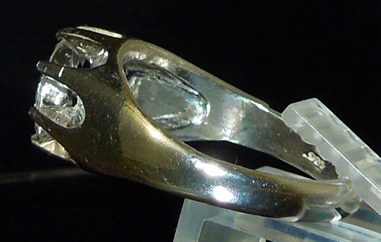 Men's diamond ring in a sterling silver gypsy setting.